Reynisdrangar, basalt sea stacks situated under the mountain Reynisfjall near the village Vík í Mýrdal, southern Iceland. 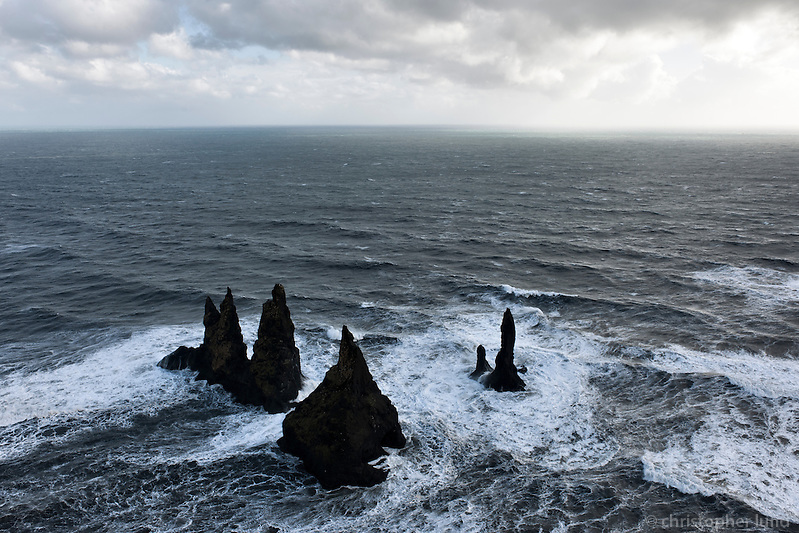 A Legend says that the stacks originated when two trolls dragged a three-masted ship to land unsuccessfully and when daylight broke they became needles of rock. Posted on Saturday, April 23rd, 2011 at 10:41. Filed under: Locations, South Iceland	RSS 2.0 feed.